Do you need new floors but don’t want to spend a fortune for them? Let us floor you with our prices and quality floors! By installing laminate flooring, you get the look you want without paying the high prices. Why not have it all – beautiful floors at an affordable price? When you visit our warehouse showroom, you’ll find laminate floors that suit your needs and your budget. Available in many styles and at different price points, laminate is an impressive flooring product that comes in a broad range of hues and designs. We also make your purchase even more affordable by offering special discounts and sales, as well as convenient financing plans. First-rate floors at affordable rates! You simply cannot beat our quality products and low prices. We also provide professional laminate floor installation for our customers. Instead of wasting time and energy installing your own floors, use our team. Not only do we save you money, but by installing your floors the correct way, we help you avoid expensive flooring repairs in the future. Our skilled flooring experts have the training and tools necessary to properly install all types of laminate and ensure your 100% satisfaction. We provide efficient and accurate services at prices you really can afford. Most importantly, we offer an Ultimate Confidence Guarantee. That means we’ll fix your floors at our expense if you ever have an installation-related issue with them in the future. You want wood floors, but you don’t have the budget to pay for them. We have a solution: laminate floors. These state-of-the-art flooring products are manufactured to look exactly like real wood, tile, stone, and many other flooring materials. Improve the ambiance in your home by installing realistic-looking wood laminate floors. Attractive, resilient, affordable, and versatile. There are so many reasons to use laminate flooring in your home or business. Today’s laminate floors are nothing like yesteryear’s materials. 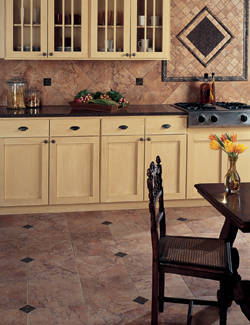 Able to look like ceramic tile, hardwood, and even stone, they make your family and guests take notice. Most importantly, they provide an affordable way to upgrade the appeal of your rooms and the overall value of your property. In addition, laminate floors are very easy to maintain. Resistant to stains, scratches, and moisture, they only require periodic sweeping and occasional mopping. At the same time, we offer an Ulimate Confidence Guarantee for our laminate floors. If for some reason you don’t love your new Five-Star floor, we’ll replace it and pay for labor, too. Contact us for additional information about our exclusive warranties for our customers. We proudly serve customers in Fairfax, Fairfax Station, Falls Church, Centreville, and Gainesville, Virginia, as well as the surrounding areas and Washington, DC.